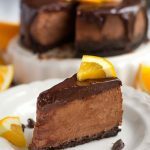 Instant Pot Chocolate Orange Cheesecake is the cheesecake of my dreams! Creamy, with rich chocolate, and the hint of orange is just delicious! Make this pressure cooker chocolate orange cheesecake for your next Holiday party, or just for the fun of it! Instant Pot cheesecake is the best! It was time. It had to happen. I’ve been thinking about this cheesecake and how it would taste for a long time. I finally got it just the way I’d hoped. 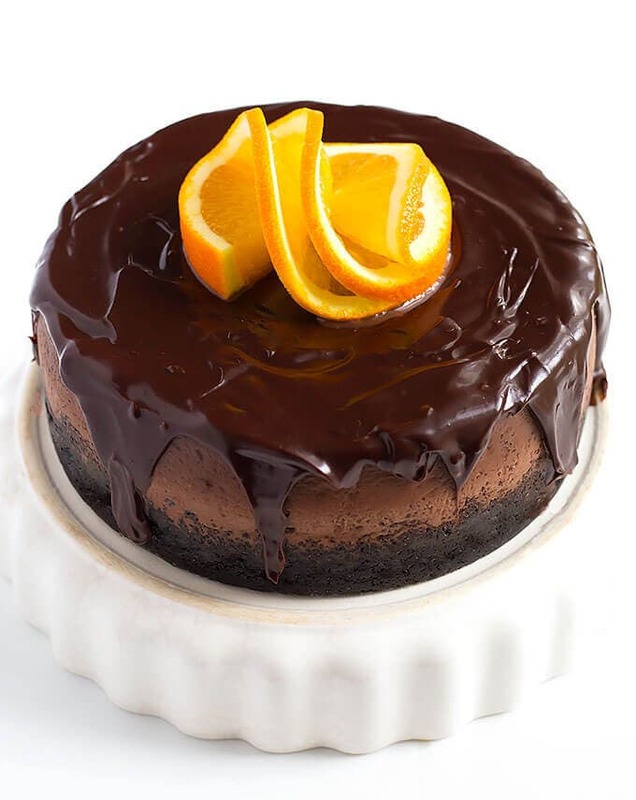 So now I will share with you my recipe for Instant Pot Chocolate Orange Cheesecake! 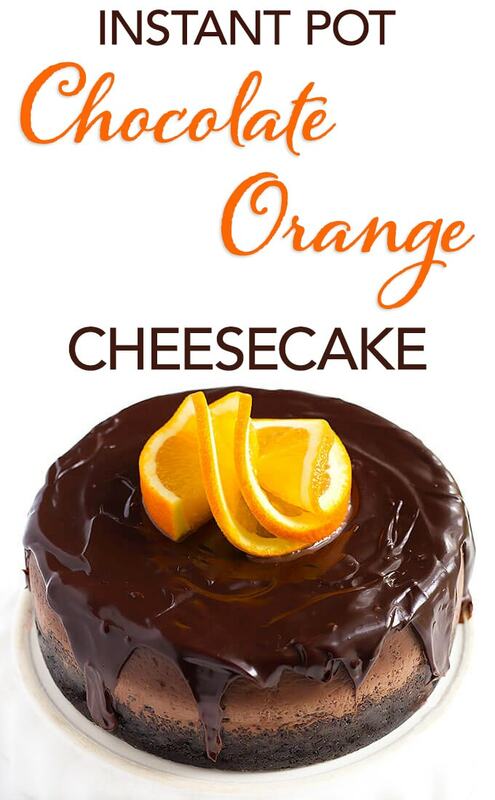 This is a rich, creamy, chocolatey, orangey amazing cheesecake! Since the Holidays are coming up really fast, I’m trying to get some of my favorite desserts on the blog. So many cheesecakes! 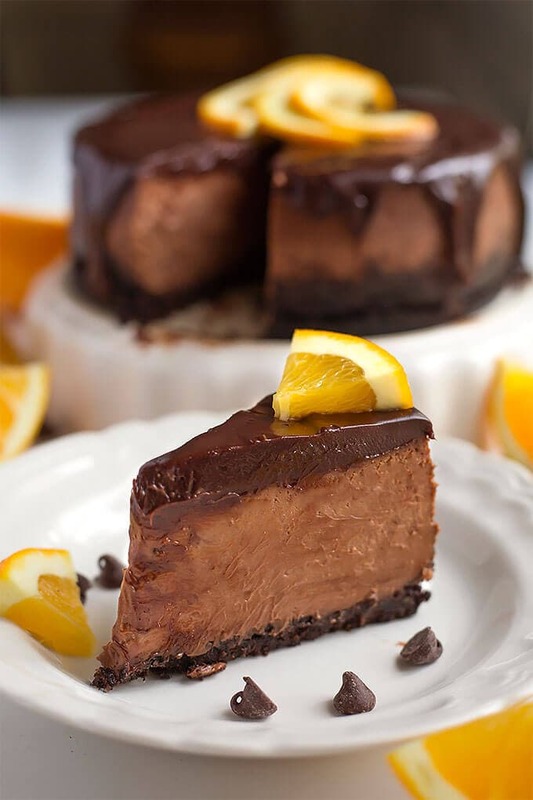 This Instant Pot Chocolate Orange Cheesecake is just AMAZING and so decadent! If you take this Instant Pot Chocolate Orange Cheesecake to one of your Holiday soirees, you will be complimented over and over again. Your friends will be really blown away that you made this. In your Instant Pot!! Not that you would bring a dessert like this just for the praise, but it doesn’t hurt! I always thought Paul didn’t like the chocolate-orange combination, but I was wrong. He was anxiously waiting for the cheesecake to chill so he could be a taste tester! Needless to say, he liked it. A lot! 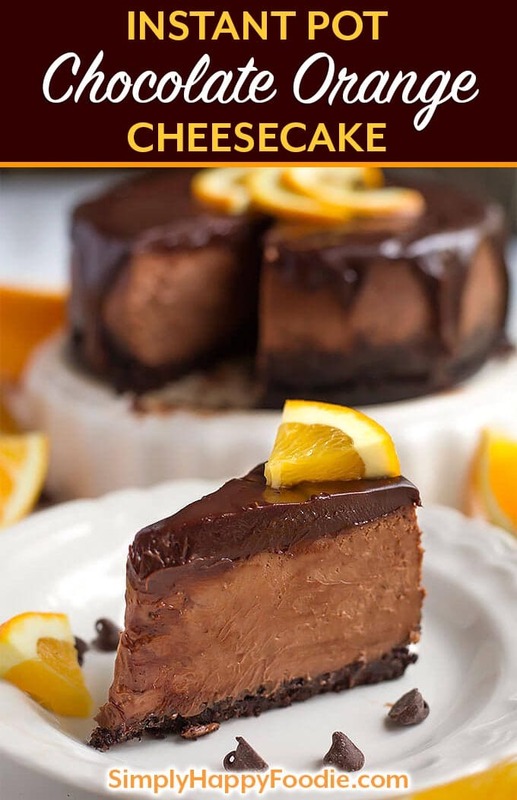 I hope you try this Instant Pot Chocolate Orange Cheesecake, it is amazing! So decadent, richly chocolatey with the wonderful sweet orange flavor that compliments the chocolate perfectly. This chocolate orange cheesecake is incredible! Scrape the filling out of the cookies and place them in a food processor. Discard the filling (I don't like using the filling as it makes the crust greasy). Add 1 Tbsp sugar and orange zest. Add the orange zest, orange juice, lemon juice. In a microwave safe bowl, add the chocolate chips and heavy cream. Heat for 25 seconds in microwave. Stir very well and put back in for another 25 seconds. Stir very well again. It may take a couple minutes of stirring to become creamy, which is what you want. Let it cool to luke-warm, then stir in the espresso powder and sour cream (which helps cool it), and add it to the cream cheese mixture. Add the cocoa powder and corn starch. Pulse several times to combine. Then process for a minute to make it smooth and creamy. Press the Manual (or Pressure Cook) button/dial and then the +/ - button to choose 43 minutes. Cheesecake is done when it jiggles a little when the pan is shook. You don't want waves, but it should jiggle a little. It will firm up in the fridge. If it looks too loose, cover it back up and cook for another 5 minutes, and let naturally release for 15 minutes. Pour over the cooled cheesecake and let set up in the refrigerator.